Jr.., Is at No.2 list after controversial win over Victor Ortiz. The Latest: The only eight-division champion in history made future Hall of Famer Shane Mosley look hopelessly shopworn in their May 7 fight, coasting to a unanimous-decision victory. Next up: a much-anticipated third meeting with Juan Manuel Marquez on Nov. 12 at the MGM Grand. The Latest: Mayweather improved his undefeated record to 42 wins in 42 outings with a controversial fourth-round knockout of "Vicious" Victor Ortiz. What's next is anyone's guess. If the Pacquiao megafight doesn't come through, Andre Berto or Amir Khan could be next in line. The Latest: There's not much left at 160 pounds for the reigning Fighter of the Year, who knocked out Darren Barker on Oct. 1. He'd drop to 150 to fight either Pacquiao or Mayweather, but other possible opponents include Miguel Cotto, Matthew Macklin or beltholder Dmitry Pirog. The Latest: The Filipino Flash outclassed Omar Narvaez on Oct. 22 at the Theater at Madison Square Garden. He's a perfect 26-0 since losing his second pro outing. Donaire confirmed afterward he'll move up to super bantamweight, where WBC titleholder Toshiaki Nishioka awaits. The Latest: The recognized lightweight champion marked time with an easy first-round knockout of Likar Ramos in Cancun on July 16. A much-anticipated third meeting with Manny Pacquiao on Nov. 12 at the MGM Grand in Las Vegas (most likely at a catchweight of 144) is next. The Latest: A lopsided, unanimous-decision victory over David Haye made some statement about Klitschko's stranglehold of boxing's bellwether division. It's been more than seven years since he lost a fight. An uninspiring matchup with Frenchman Jean-Marc Mormeck on Dec. 10 is next. The Latest: The WBA super middleweight champion outpointed Arthur Abraham in the Super Six World Boxing Classic semifinals on May 14 in Carson, Calif. Next, Ward will face Carl Froch on Dec. 17 in the Super Six final for the WBC, WBA and vacant Ring 168-pound championships. The Latest: After consolidating the WBC and WBO 140-pound titles with a win over Devon Alexander in January, a contract squabble with promoter Gary Shaw kept him idle. 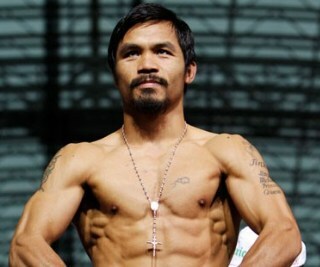 He'll return to action on Nov. 12 against Joel Casamayor on the Pacquiao-Marquez undercard. The Latest: The WBA 140-pound champion annexed the IBF belt with a fifth-round knockout of Zab Judah on July 23. The Bolton puncher's ultimate goal remains a 2012 showdown with Mayweather, but he'll fight once more at junior welterweight against Lamont Peterson on Dec. 10. The Latest: A separated shoulder left Hopkins unable to continue in the second round of his Oct. 15 title defense against Chad Dawson. The WBC ruled it a technical draw and returned the title to Hopkins five days later, but where does the oldest boxer to win a major title go from there?